This week we are looking at favorite tools. I can't wait to see what all 16 of us choose. Do you think we will all pick the same thing? I suppose we will all say our rotary cutter is our favorite tool. But in spite of how much I love my cutter, I have a few other tools that I use all the time and are my go-to tool for certain tasks. I sort tools into categories and I'll tell you my favorite tool in each category. Sewing: I sew on a Bernina 790, Bernina 440, and Bernina 240 I use for travel. Um I really like Berninas. My sit down long arm is a Martelli Bella. I also have a Singer Featherweight 221. I had more machines at one time but in the "Great Purge of 15" (the year I retired from college teaching) I got rid of a number of machines I had been collecting and using. My favorite of them all, I gotta say it is the Bernina 440. This machine is a workhorse, totally reliable, uses any thread I put on it, and can do anything! Wow, I love this machine. You would think my new 790 would be my dream machine because of all the bells and whistles, and I confess, I was seduced by the bobbin and the embroidery unit. It is a little temperamental at times, however, and when I sit down to sew I want to SEW, not smooth over the ego of an uppity machine with sensitive feelings! It is getting better as we get to know each other more. But in a moment of pique I always turn to my 440. It is my retreat machine because it can be easily transported in my car in its Tutto Trolly. I digress, however. Because my favorite sewing tool is a simple pair of bent nose tweezers. These beauties are my third hand. They hold onto the ends of fabric as it goes through the machine and are indispensable for sewing curves. I teach a class on sewing curves without pins and issue everyone a pair of these at the start of the class. I used to love my stiletto but these tweezers have taken over that #1 spot in my heart. If you want a pair you can get them HERE. Pressing: Without a doubt my single favorite pressing tool is my Easy Binding Winder! I used to HATE doing binding. Hate, hate, hate. There are not many things I am that strongly negative about, except maybe the neighbor's dog that craps in my yard. This gadget changed all that, (except the dog) and I am so proud to say it was invented and marketed by my good friend Peggy and her husband Rex. It clamps to my ironing board and winds up my binding while I press it. The best part - to me at least - is that is feeds off the winder while I sew on the binding. No more tangling around my chair or feet getting coated with cat hair while I sew. Nice. I like this tool so much that I bought one to give away to this week's lucky winner. Leave a comment on this blog post to be entered to win an Easy Binding Winder. Cutting: It is a real toss up between my Martelli Rotary Cutting Mat or my Go! Big cutter. This mat is a dream. Not only does it sit on a smooth turntable, but the markings make it super easy to trim blocks and units as I sew and press. When cutting out diamonds from jelly roll strips using my Stripper template (Marti Michell) - something I do a lot - this is my best friend. It is a big surface and can hold the strip while I cut and spin the mat. What can I say? My GO! Big in my new BFF. I do lots of curved blocks like apple cores, drunkards path, and my all time favorite Winding Ways. I cut all the pieces for this quilt in one evening. Measuring. This may surprise you. I have tons of rulers, and like many of you, can't resist a new ruler, gizmo, or gadget. But as a designer, I really need a measuring tool that can calculate all kinds of math needed to write a pattern. 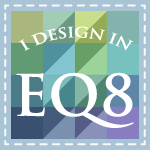 My favorite tool is the Quilter's Fabric Calc - Quilt Design and Estimating Calculator. I bought one when they first came out and my son bought me one for Christmas one year. I was thrilled to have 2. One stays in my office next to my computer - where I do all my design work. The other stays downstairs in my studio where I often need it to calculate how much fabric I need to cut a certain number of strips. I used to teach a class in how to use it, but I am thinking maybe I will do an online tutorial. If you design, you need this! Here is what you can do with it. Yup, its my total, all time, favorite measuring tool. However, there is also a great app I use on my iPad and iPhone which is also a great tool for calculating yardage, especially backing and binding. It is called the Quilter's Little Helper and is created by Robert Kaufman Fabrics. It also calculates bias binding, something the Quilt Calc doesn't do. The other calculation it does that I really like is shows me how much backing I need if I position it vertically or horizontally. I love a gadget that I can actually use, and makes my life easier. 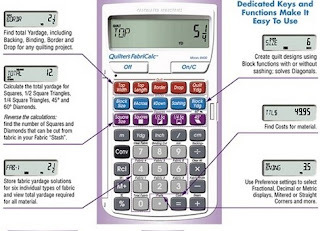 It does even more calculations than the Quilter's Fabric Calc, using the calculators created by Quilters Paradise. You can use these online if you don't have an iPhone or iPad. Bookmark this link to see them for yourself. So thanks for wandering through my studio with me looking at some tools and some quilts made using those tools. Hope you had fun. Want to win a FREE Easy Binding Winder??? Leave a comment. Winner will be announced next Tuesday. 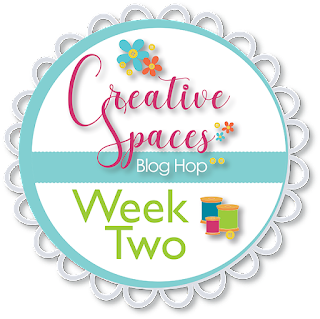 Be sure to visit all the other Hoppers in this second week of the Creative Spaces Blog Hop. Here’s the list of participants and the days of the week they’ll be posting. Click the links to go to each of their blogs below and follow them, or bookmark their sites so you can check out what each has to say every week! The tweezers cracked me up because my husband and I are fighting over tools quite often! He discovered my Ott light the other day and I will be returning the favor and discover his needle nosed tweezers! Love your calculator and bobbin winder! Thanks Rosalind, that calculator has been around a long time, but I really could not write a pattern without it. All great products. And I do Love that GO! It has trimmed many squares up for me! What a great way to use your go cutter Anita. i'm new here...that bobbin winder looks amazing! Once you try it Nancy, you will never do binding without it again. Wow I loved your tool choices. So many of them I do not have but will be investigating. I’m especially interested in the calculator. The binding winder looks awesome! Check out the free app and online calculators I you can’t find the Fabric Calc Linda, they are an amazing helper. I LOVE the easy binding winder and would love to win one! ;o) I, also, appreciate the information about the website that helps me with calculations. Hi Sandy, check out the link in my post to Peggy and Rex’s website. You can buy them online and you can get extra spool packs to go with them. Thanks so much for the comment. Isn’t it fun to learn about new goodies that can assist our quilting? That winder looks amazing. I just finished struggling with making some binding, sure could have used that. I'm going to check out the calculator and the winder. Great tools that I didn't know about. Thanks for sharing. I am a Janome person. When I retired my Kenmore and bought a Janome Jem I was surprised to find out that the Kenmore was made by Janome. So, without knowing it, I have been a Janome girl since the beginning of my sewing days. Thanks for the tips on some great sewing gadgets, and the chance to win one. I found the tweezers interesting because I'm working on improving and speeding up my curved piecing. I'll have to give them a try! I also loved the tech inclusions. I'll have to check them out! Thanks! Great selection of tools. The winder is a great addition to any quilters studio. Thanks for sharing. Those are some great tools and a few I also use and love. The binding gizmo looks like a great idea and I know using it when adding the binding to the quilt would be perfect. I'm piecing and will find my special tweezers so I can use them like you do. Thanks. Wow! Lots of great info--thanks@! I am especially happy to hear about the iPad app. I am also interested in the binder winder tool--I haven't seen one before. 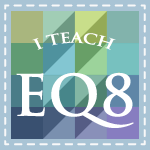 Love the idea of the Quilting Calculator App. It will save me much aggravation. I need to check out that quilting calculator. 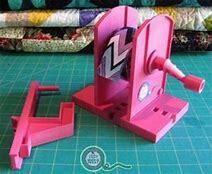 That bobbin winder is cool! I hate constantly trying to keep my binding from falling on the floor while I'm trying to iron it. And your quilting calculator looks interesting. What a coooool invention for sure! Tell your friends Thank You!! :) Would loooove to win a Bobbin Winder! Thank you for the chance. Thanks too for sharing some tools I never saw before, but sound super! Thank you for sharing your favorite tools with us. The quilting calculator and quilting app sound interesting. I'll have to check them out. The binding winder would be quite a help. Thank you for the giveaway opportunity. Thank you! I've never have thought to use tweezers that way. All are great tools. I would add Wonder Clips for EPP. Great tools! Will def check out the apps you mentioned! I need that Binding tool! It is so frustrating ironing and sliding to the floor picking up just to do it again and again until you finally get the binding ironed! It looks so easy to use.I would love to give it a try! Thank you for the calculation page by Robert Kauffman, have already used it. So easy to use. Hi Livia, happy to hear you use the online calculators. Aren't they great? There is nothing worse than piles of binding on the floor--except when I go to wind it all up on my fingers! Twists and turns, unraveling. What a fantastic way to eliminate that stress with the unique binding tool! Hi BJ, hope you got a chance to watch the video I added to the post. Peggy and Rex are great people and not only am I happy to promote their tool, but it really is a brilliant invention. It's fun to see your favorite tools - I call them gadgets even though they are tools. I had forgotten about the calculators. It's nice to have a reminder. I'm thoroughly enjoying this hop and am amazed at all the wonderful information being so generously shared. I have to confess that my seam ripper is my favorite tool - without it, I'd be dead in the water and at a stop many, many times. Thanks for today's post and I love how you include the kitty - I miss mine and am not ready for a new one yet. So I'll love on yours with you. The Binding Winder looks like an awesome tool! I really dislike making binding, but this would make the process so much easier. Thanks! That's for sure Delaine. You would love it. I am still not crazy about doing binding but this has made it a whole lot easier. I too love my Bernina 440. Hate it when it goes into the shop for its yearly check-up. The Binding Winder looks like a great tool, as I was just making "miles" of binding the other day and watching it tangle off the end of my board. Thanks for the info and chance to win. You are welcome Cat Lady. You will really love the binding winder. It makes it so much easier to manage your binding. Cat Lady, have you discovered the facebook group called Quilting Cats? I love it! Great idea to try the tweezers-thanks! I would love to have an Accuquilt cutter-maybe later. Love the binding winder! I had never seen or heard of it. I only make big quilts and I always have a floor full of binding which I roll up and then when I sew on-it always unrolls. I use tweezers for lots of things--the main one helping me thread my sewing machine needle. Great idea Susan. I have one for my serger and can't thread it without tweezers! What a great tool! I like to bind my quilts, but this would make the job even more enjoyable. It sure does Lindi. I no longer cringe and procrastinate with putting on binding now that this winder makes it so much easier. I had two of them, but gave one to my niece who does a lot of the pattern testing for me. She loves hers too. The binding winder looks like a great tool to have. How did I miss this gizmo!! At under $20 it is a great investment in getting your quilts complete Cindy. This is my first sighting of an easy binding winder. Quite a handy tool! It sure is, Laura. Check out the EBW web site. Creating binding is a pain! Mine is always falling off the ironing board and gets tangled on the floor when I'm sewing it on my quilts! This would solve both issues - thanks for the opportunity to win the easy binding winder! I must live under a dark bush because I haven't heard of a binding winder! I think I must need one because making binding is not my favorite part of the quilting process! Such great tools I love my Go cutter its amazing and having a binding winder to go with it would really save time! Ooooh! I’ve never seen a binding winding gizmo... this would be awesome! It really is Michele, once you use it you will be hooked. The cutting mat on a turntable looks like a great tool! I moves so much easier than any of the others on the market. If you sign up for their Newsletter you can pick it up for half price during their tool sales. I am crossing my fingers, I've never heard of such a gadget! The binding winder looks like a great tool. I have lint rollers everywhere to keep threads and lint under control throughout the house and always take a couple to retreat! Wow that binding wonder is really nice. I've found you can't always trust the answer the Quilter's Little Helper gives you. Once it was an inch too short for border fabric cut lengthwise. But usually it's good, and it's been very useful for me. Thanks for the reminder to always double check the math. Learned to use those tweezers years ago while sewing drunkard's path blocks. the bobbin winder looks like a great tool. My daughter gave me a Quilter's Fabric Calc and although I don't design, I have found it helpful when I need to figure out how much fabric to buy for a project. Thanks for sharing the link for the app, since I don't have an iPhone or iPad. Yes, I had a pair of those tweezers, they found there way out to my husbands shop where he builds his remote control cars...Thank you for sharing all that you do. 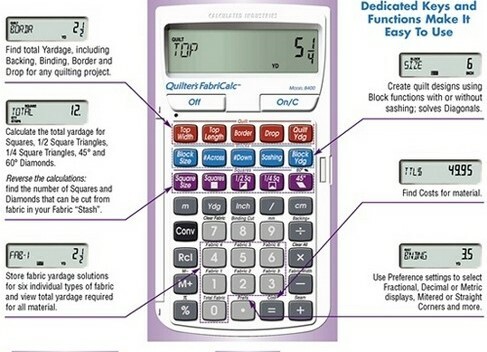 I bought the quilt calculator when it first came out but never learned to use it. I would love it if you had a tutorial on it. Just keep at it and you will figure it out. The instructions printed on the inside cover work very well. Great tools.The go looks fantastic for trimmed.I`d love to know how to use the calculator,a friend have it but we don´t understand it. I would love an easy binding winder please! Always interesting to read what others find the best/most useful tools to have. I never saw the binder winder before, so of course, would love to win one. And I'm with you in loving winding ways. Thanks for all your blogs and inspiration. No more gymnastics while putting on binding. Sounds great! I enjoyed your favorite things. I did not know about the binder tool looks like I will be getting one. I love any gadget that makes my life easier and learned about a couple from you! Thanks so much! That Binder Winder looks like one useful tool! Reeze, you and I have very similar taste in tools! I love my Bernina 765, but it weighs a ton, so I usually take my Singer Featherweight when I travel. My bent tip tweezers are always by my machine (unless my kitty knocks them off) and I cannot quilt unless I know my QuiltCalc is nearby. At the LQS in March, I purchased an electric Accuquilt Go Big and immediately made a large log cabin quilt using the 2 1/2" die. Great minds really do think alike!! I won that calculator a few years ago and must admit I have not used it. Took a look at it in the beginning and thought that it was perhaps beyond me. Maybe I should give it another chance! New here.... The Binding tool looks awesome. I think I have to say the stiletto was my favorite but now you may have me rethinking tweezers. Just a note... android has the same app as I use it as well. I have been debating on a "GO" but just haven't convinced myself yet.... but your comment in saying you cut all that in one day.....might be a game changer. sometimes I dread starting a new one because of all the cutting. Wow - thanks for introducing me to the binding tool - it looks to be incredibly helpful, and I need all the help I can get, lol! You have a few tools I hadn't seen. Love the binding winder! What great tools! 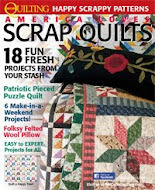 I love finding out what other quilters use and love. 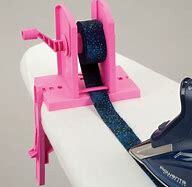 The binding winder that clips to your ironing board, that’s a must have! Thanks for sharing! Love reading all the things that you find helpful. Really like the tweezers, as u just finished a Judy Niemeyer Glacier Star. I couldn't believe where small pieces of paper could hide. But I think my favorite was your binding winder. Again thinking of all the binding I'm going to have everywhere for this king size quilt. Oh boy that would be nice. Thanks for sharing. I hadn't heard of the binding winder--sounds great! I thought I was the only one that got the binding wound around me and my chair. I try winding it around big bobbins but it never stays put!. But I have to admit that one tweezer and the rotary mat are most tempting. I kept the tweezers from my old over locker when that stopped working they are so handy. That binding winder looks amazing. I love my Fabric Calculator, I know I don't use it to it's full potential, but that is my issue. Have had tweezers at the machine since I worked in a sewing factory and found out how use full they are. But, my favorite have to have is my nippers, they fit in the palm of my hand when snipping chain piecing the best for frog stitching, just the right size. I would love to win the bobbin winder. I am planning to use my bias tape maker and could wind the bias tape too. I use the online app. I really like it. I'm a newbe so it is very useful to check what I think I need to see if I am correct.